Dubai: A 65-year-old Emirati who is serving life sentence at Dubai Central Jail for using qat — a flowering plant that contains an alkaloid called cathinone — feels that is sheer ignorance about the nature of the substance that has landed him in immense misery. The father of nine from Khor Fakkan told Gulf News that he has been in jail for almost five years now for possessing 850 grammes of qat. 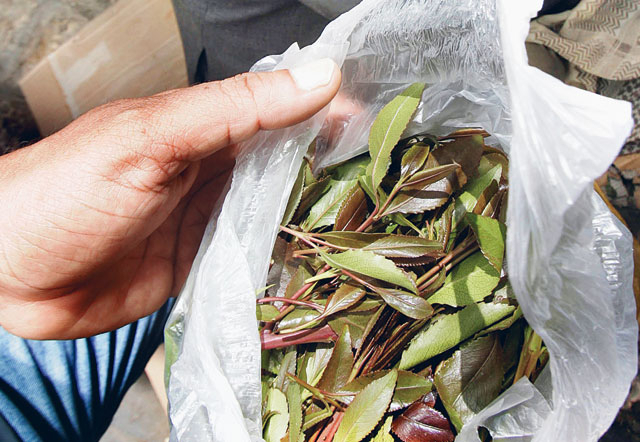 According to a police official, qat is banned in the UAE and is classified as a prohibited drug. Possession, consumption or trafficking of prohibited substances are criminal offences with corresponding penalties under UAE laws. He said fresh leaves from the qat shrub are chewed or in some cases dried and consumed as tea. The convicted man said that it was his cousin who brought the qat leaves from Yemen. "My cousin brought it for me from Yemen and I paid him Dh1,500. It was a gift for a friend of mine," he said. The man said that he was arrested by police when he was giving it to his friend in Dubai. "I have no clue that qat is prohibited here. I never thought that it is banned or it is a kind of drug," he said. 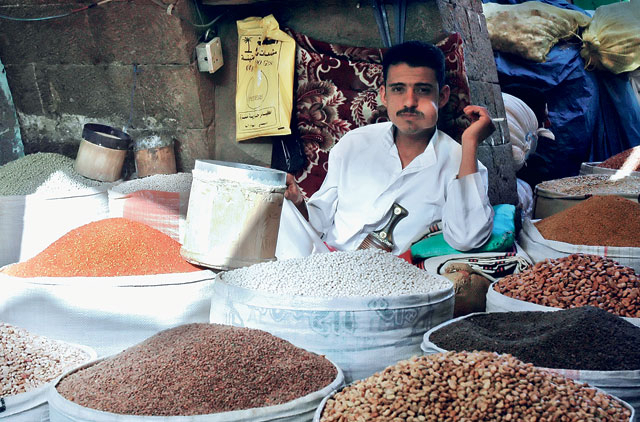 He said if only he knew that qats are prohibited in the UAE, he would've just gone to Yemen instead. "I was born in Sharjah but my ancestors were originally from Yemen and this is not prohibited over there," he said. He said he was accused of possessing and trading in drugs. "I am not a drug dealer and I have never thought of dealing in drugs. It never came to my mind that qat could land me in jail," he said. He said prior to his arrest and conviction, he's been using qat all his life. "I brought it as a gift for a friend of mine but I never thought that he was using me and he informed the police about me," he commented. "I have my family, my children and my grandchildren who come to see me regularly," he said. He said he has nine children, the elder one is 37 years old and the youngest is studying law and Sharia at the university here. He said he feels sorry for what had happened and if he ever knew that this green leaves are banned in the UAE he would never, ever use it here. "I am an old man and I never offended the law. I have family and children. I will never deal in drugs," he said. Qat appears to have originated from East Africa, and it is now widely grown in the Gulf region, Ethiopia, Kenya, Uganda, Tanzania, the Congo, Malawi, Zimbabwe, Zambia, and South Africa. Qat was introduced to Yemen from Ethiopia in the 15th century. The ancient Egyptians considered the qat plant as "divine food". 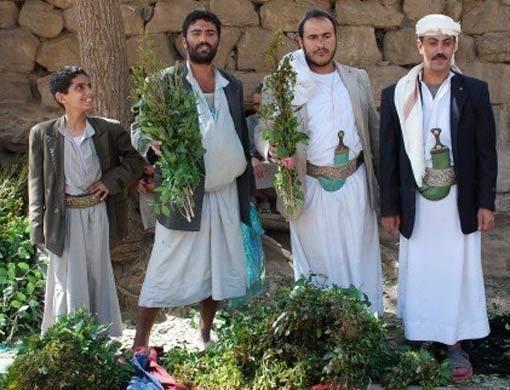 Traditionally, qat has been used as a socialising drug, and this is still very much the case in Yemen where qat chewing is predominant among men. In other countries, qat is consumed largely at parties. It is mainly a recreational drug in countries which grow it, though it may also be used by farmers and labourers for reducing physical fatigue or hunger and by drivers and students for improving attention. Qat consumption induces mild euphoria and excitement. A meta-analysis in The Lancet has stated that qat creates a pleasuring effect to the same degree as ecstasy. Qat can induce manic behaviours and hyperactivity. Qat is prohibited in some countries and punishment for possession could lead to a maximum sentence of three years in prison. The maximum punishment in some countries for trafficking or possession with the intent of trafficking is ten years in prison. Qat is prohibited in France, Norway, Poland and Switzerland. Qat is not a controlled substance in the UK. In Canada, qat is a controlled substance. The US prohibited the use of qat while in Australia, the importation of qat is controlled by Customs. Individual users must obtain permits from the Australian Quarantine and Inspection Service.